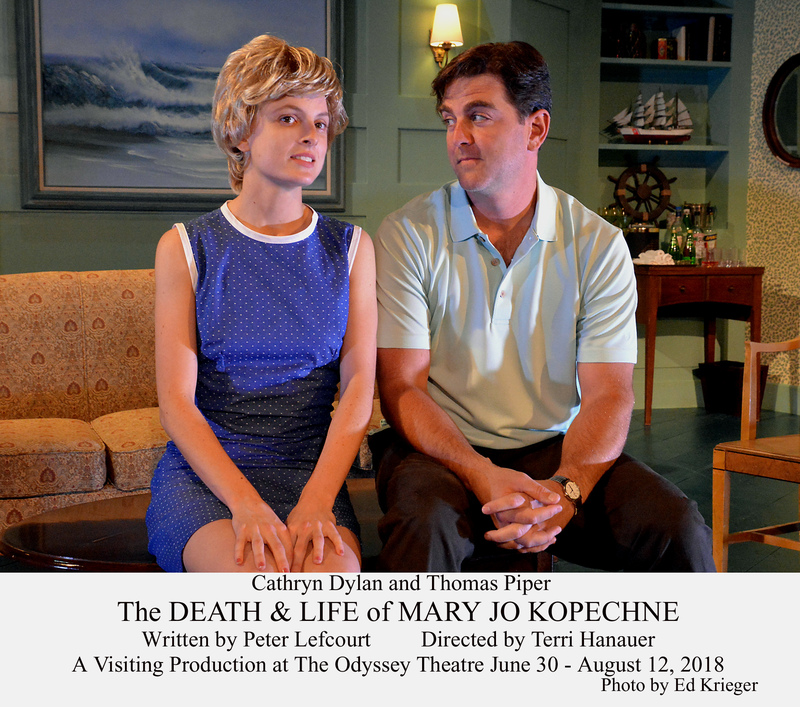 Playwright Peter Lefcourt has taken a headline grabbing scandal from the late 1960s and given it a supernatural “what if” to try to answer some long unanswered questions in the World Premiere of The Death and Life of Mary Jo Kopechne, presented by Sweet Talk Productions at the Odyssey Theatre. On the night of July 19, 1969, a too drunk to drive Senator Ted Kennedy drove his car off a bridge on Martha’s Vineyard. Kennedy survived but his passenger, a 28-year old political worker in his now deceased brother Robert’s 1968 campaign, did not. Kennedy took many hours to contact the local police to report the accident although he did have time to phone political cronies and come to a decision on how to save his Senatorial career as well as the probable Presidential campaign in his near future. Chappaquiddik was a name that became attached to Kennedy and he could never really get out from under it. In Lefcourt’s play, a still drunk and very exhausted and wet Kennedy (Thomas Piper) returns to his hotel room in Edgartown to gather his wits about him before reporting the accident. Is it delirium or wishful thinking when his deceased brothers President Jack (Blake Boyd) and Senator Robert (Tim Redmond) show up to do damage control? With them is their wily and masterful father, Joseph (James Gleason), whose wheelchair seems to be the only hangover from his recent stroke. As the boys roughhouse and dreg up old family skeletons, a surprise visitor appears–a very wet and angry Miss Kopechne (Cathryn Dylan). 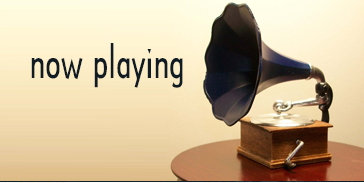 Lefcourt doesn’t add anything new to the well-known Kennedy lore and the first act seems much longer than it is because of all the old baggage. He also extends the act a few beats after Kopechne’s surprise arrival with some unnecessary dialogue. It would be a much better cliffhanger to just leave the wet woman in the ghost light and go to blackout. Unfortunately the Kopechne character doesn’t have much to add either and it basically becomes a will she or won’t she co-operate scenario. Eventually all is decided upon to benefit Ted’s career and all the ghosts disappear before he calls the police. Lefcourt heavy handedly drives home the drama of the drowning by having the room’s TV only show scenes from the film A Place in the Sun. If you remember, in the film Montgomery Clift, hoping to romance the beautiful and wealthy Elizabeth Taylor, lets his pregnant girlfriend Shelley Winters drown in an accident by not giving her any help when she’s in the water. Even though his original intent was to drown her, the accident was truly an accident but he still received the death penalty. Kennedy got off with a lighter sentence. 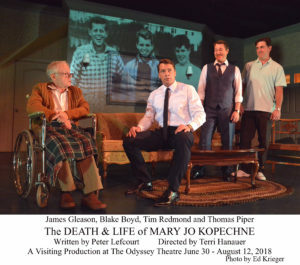 The quintet of actors do a credible job under Terri Hanauer’s direction but you just wish the playwright had taken a more adventurous path rather than to trod the tried and true.